She Was In The Hospital When The Best Surprise Walked In. When They Started Singing That Hymn -- CHILLS! She Got Flowers Instead Of A Speeding Ticket And The Reason WHY Is Touching! 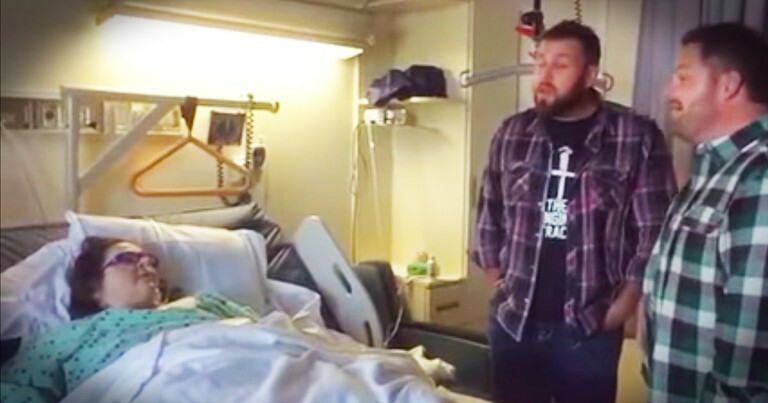 When the Singing Contractors heard that one of their fans, Miss Deb, was in the hospital they knew they needed to pay her a visit. Seeing them brighten up her day was beautiful. But when they started to sing 'Old Rugged Cross' my heart grew wings. Wow, what a beautiful thing they gents did! Our prayers are with you Deb!